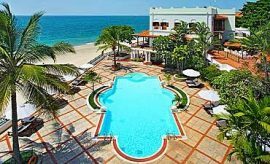 Are You Planning A Zanzibar Stone Town Vacation In Tanzania? Scroll Down.. Your stay at Stone Town, a UNESCO World Heritage site and the cultural hub of Zanzibar, offers you a strategic vacationing base from where you can tour this olden Swahili metropolis of East Africa. 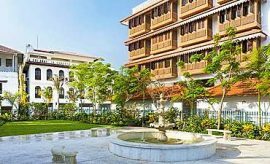 And, the Al Minar Hotel is strategically located so you can comfortably walk over to the Shangani Square, one of the most pulsating places in Zanzibar. The seaside of Stone Town, Forodhani Gardens and the Old Fort are also close by. 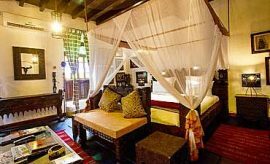 The Al-Minar Hotel affords a budget stayover with a decor that is every bit Zanzibar with its colored glass panes, authentic Swahili furniture inlaid with picture panels and beautifully carved doorways and window frames. 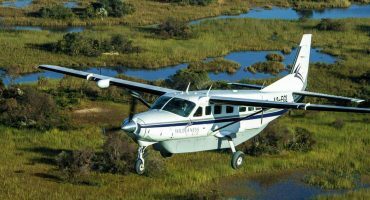 You will be staying in one of their 22 air-conditioned rooms that are available in four specifications. 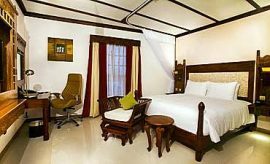 The 11 Standard Rooms can comfortably sleep two guests, and 8 of them have a queen-sized double bed while 3 have twin beds. The rooms also have a simple but comfortable seating area and en-suite bathroom. The 5 Deluxe Suites are a little bigger and have a living section, desk, armoire for unpacking and attached bathroom. 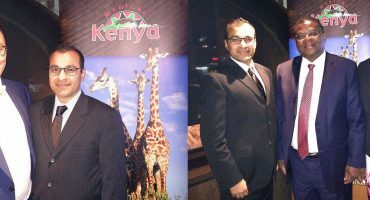 AfricanMecca boarders could also opt for the 6 Executive Suites if you are looking for more spacious living areas. These suites also include a living section furnished with seating arrangements, en-suite bathroom, desk and armoire. 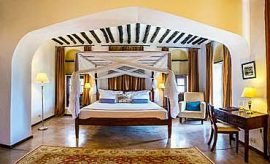 All the rooms have the traditional Zanzibari bed covered with mosquito netting and a TV with satellite connection. Breakfast is included in the room tariff and served to you in the Al-Minar Hotel Restaurant located on the terrace of the building. A selection of Asian and Continental cuisine is served at lunch and dinner. Enjoy sweeping views of Stone Town and the Indian Ocean as you dine on the simple, wholesome fare. 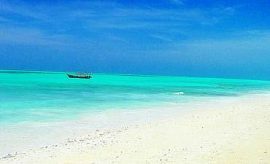 Spend the days of your trip exploring the many tourist attractions of Zanzibar. In the floral heart of the isle is the Jozani Forest, a conservation area where a unique primate, the Kirk’s colobus monkey proliferates. Your AfricanMecca assigned reserve guide will talk to you about the efforts that have brought back this beautiful primate from the verge of extinction. On your Zanzibar holiday itinerary, you must include a visit to the famous spice farms. Here, you will understand the trade strife that the island has witnessed over the centuries. The spices that grow here can not only be used to flavor food but also can be used to make many medicines, which made them very valuable to the ancients. Also, view the many uncommon fruits growing in the orchards. You will see durian, shoki-shoki, bungo, fenesi etc. along with a range of familiar varieties such as paw-paw, custard apples, bananas and many more. Return to Stone Town to explore the many monumental structures, remnants of the islands flamboyant past. 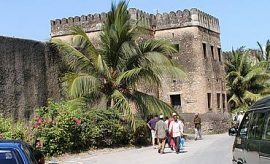 The Beit-al-Ajaib or the House of Wonders, Beit-al-Sahel or the Sultan’s Palace, Tippu Tip House, Livingstone House and the stately Anglican Church built to erase the memory of the infamous slave trade will enlighten you further on the history of the island and its mainland Tanzania. As you make your way back to your accommodation, you will be passing through the labyrinth alleyways of Stone Town where you can pick up mementos of your travel at the tiny traditional duka stores that line the streets. 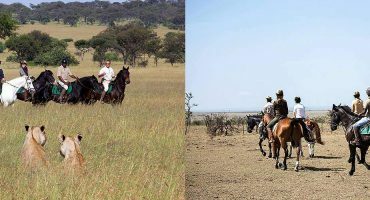 When tour vacationing at Al Minar Hotel in Zanzibar, we recommend experiencing some of the surrounding Zanzibar Island attractions and tour activities after your Northern Tanzania safari to Tarangire, Lake Manyara, Ngorongoro Crater and Serengeti. 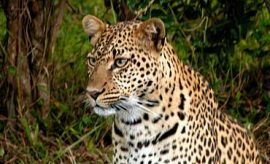 ARE YOU PLANNING AN AFRICAN TRIP TO ZANZIBAR IN TANZANIA? HAVE YOU VISITED ZANZIBAR ON AN AFRICA TRIP IN TANZANIA?